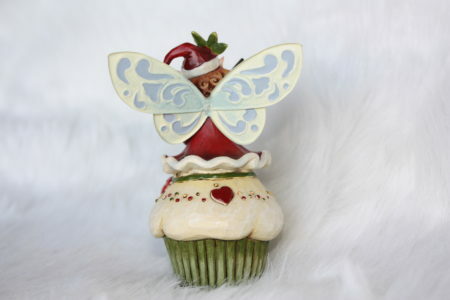 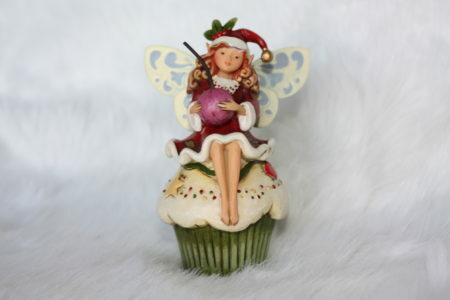 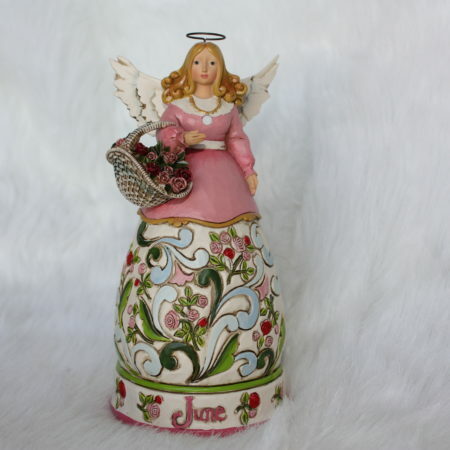 Jim Shore Heartwood Creek Christmas Fairy Perched on a Birthday cupcake. 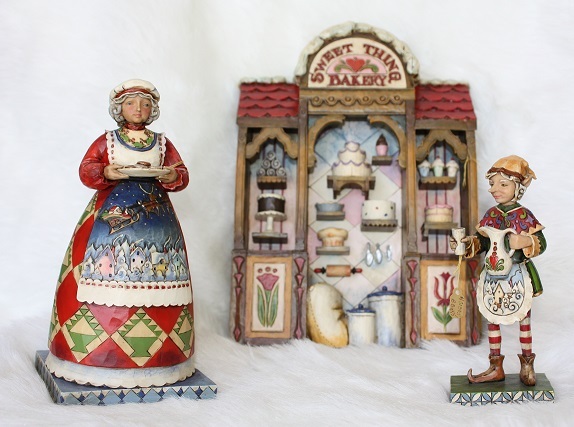 Measurements:4.5″H x 3.25″W x 2.25″L. 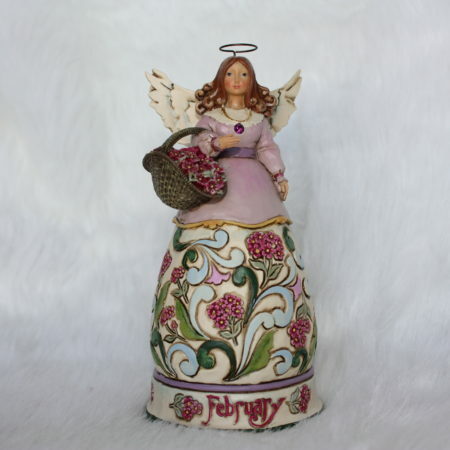 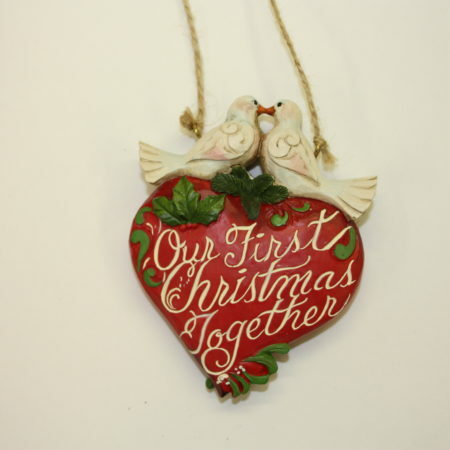 Material: Stone Resin Dimensions: 4.5″H x 3.25″W x 2.25″L.